18" Necklace of Beaded charms with matching charm bracelet. Red and glittered red beaded jewelry. Large hole charms likened to Pandora beads. 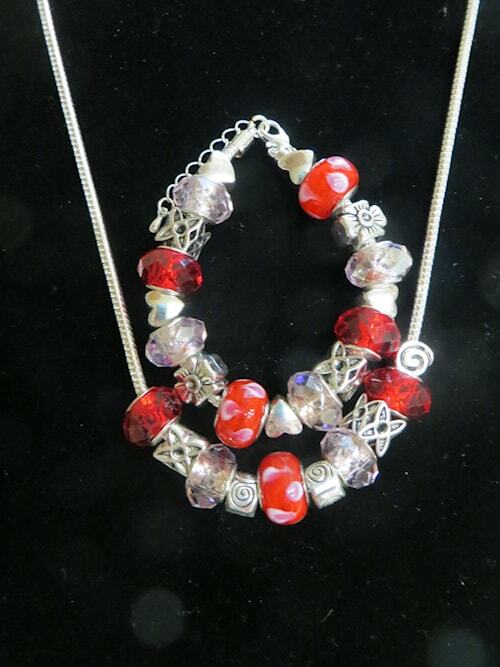 Individual beads are separated by decorative silver charms of hearts and flowers. Size is adjustable. Handmade in the USA.